WOW – the Holiday Season is in full swing these days; lights are twinkling, Holiday music is playing non-stop, traffic is bustling. Lots to do during this time of year and here’s my first tip to help get you through it. Tip #1 – Create THE LIST. Creating a master list let’s you get all the things that are swirling around in your head that need to be done and remembered – out of your head. This will help reduce stress and anxiety over all that needs to be done. In addition, a master list will help keep you organized and will eliminate the need to “run back out” time after time. 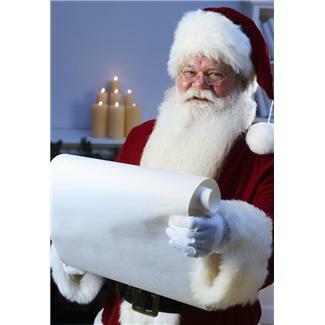 Gift ideas for each person you buy a gift; include everyone – babysitters, pet sitters, mail person, bus drivers, etc. Supplies needed; inventory your decorations and your supplies such as wrapping paper, scotch tape, packing boxes and tape. What’s missing? Put it on the list. Food needed; are you hosting or attending a special party or event? Plan out your menu now and add your items to the list. Anything that is not fresh can be purchased early. Other stuff; don’t forget things like Holiday cards, postage stamps, extension chords, extra bulbs. Take an in-depth inventory of all of your plans to do during the next 25 days and organize your needs. Next step – make a copy of your list and check things off as you go along. Most importantly – take this list with you everywhere! This way, you aren’t left wondering “what was that thing I needed”. A friend of mine takes a picture of her list with her camera phone incase she forgets The List – she’ll at least have some version of it with her. What’s on your list? What other things should be put on a list that I neglected to mention? Categories: Time-savers, To-do | Tags: extension chords, Holiday tips, mail person, packing boxes, Santa's list, scotch tape., stress and anxiety, To do lists | Permalink. Pingback: 25 Tips of Christmas – #14 – Resist the Urge to Meander « Just a minute…. Pingback: 25 Tips of Christmas – #15 – Double Check « Just a minute….